Recently, I had the wonderful opportunity to meet cousins Mr. Horace S. Savage Jr., and Mr. James M. Rawls, descendants of Pvt. Alfred Savage, a veteran of the Civil War, member of Company D, 2nd Regiment, United States Colored Cavalry. Mr. Savage is Alfred’s great-grandson, and Mr. Rawls is Alfred’s great-great-grandson. The road to meeting Mr. Savage and Mr. Rawls took a rather circuitous path. After researching marriage records, newspaper articles, and various other documents, I traced the family from Virginia, to Tennessee, up to Pennsylvania, and down to Georgia. I reached out to one descendant in Georgia who put me in touch with Mr. Savage, who, as it turns out, lives only twenty minutes away from our family in Virginia. I had the great honor of speaking to Mr. Savage for the first time on his 89th birthday to let him know I’d found his Civil War ancestor. Mr. Savage, a graduate of I. C. Norcom High School, and Hampton University, first began his long career in education as a science teacher, becoming a part of I. C. Norcom’s faculty in 1950. He was appointed head coach of I. C. Norcom’s football team, the Greyhounds, and school track team by 1959, and is the former Assistant Superintendent and Clerk of the School Board of Portsmouth City Public Schools. He retired from the position in 1987, after a thirty-seven year career with the Portsmouth School System, but continues to be actively involved in social and civic affairs. In honor of his extensive service to the community, he was named Portsmouth’s First Citizen of the Year for 1998. I thought it a small world when I found a picture of him with my first cousin Vernon Orton, former principal of S. H. Clarke Junior High School, when Mr. Savage was appointed Vernon’s administrative assistant in 1969. After a brief introduction, we talked for a while, about Alfred, and how I’d come to find his descendants. Mr. Savage is the keeper of his family’s history, and knew all about Alfred, but did not know the exact location of his burial site. I told him I’d first discovered Pvt. Savage’s gravestone in Mt. Calvary Cemetery a few years ago, but, due to the weathered inscription on the stone, could only make out the surname “Savage.” I was in the middle of a three-year research study of the over seventy-seven United States Colored Troops interred in the Mt. Calvary Cemetery Complex, and determined to learn this unknown veteran’s first name. I photographed Pvt. Savage’s gravestone several different times, knowing that different light conditions can sometimes make inscriptions on headstones easier to read. However, none of these attempts worked. Wetting the stone also did not make his name any clearer. So, I resorted to an old-fashioned method. Using my index finger, I traced the letters of his first name, and the letters seemed to spell “A-L-F ‘ D.” Subsequent research verified that the headstone did belong to Alfred Savage of Co. D, 2nd U. S. Colored Cavalry. Mr. Savage was very happy to hear of the discovery, and after a nice conversation, we agreed to meet at the cemetery in two days’ time to find Alfred. Alfred Savage (abt. 1837-1899/1900). Mr. Horace S. Savage, Jr., remembers growing up seeing this photo in his grandparents’ sitting room, an area entered only on formal occasions. Courtesy the Savage Family. Pvt. Alfred Savage enlisted on December 24th, 1863 at Fort Monroe, Virginia, just two days after the 2nd Regiment was organized. In his service record, he is described as born in Nansemond County, Virginia (subsequent census records note his place of birth in North Carolina), aged twenty-six years old, five feet, nine inches tall, of a light complexion, with dark hair and dark eyes. He listed his occupation as a general laborer. The unit was under the command of Col. George Washington Cole (1827-1875), who was promoted to the post on December 10, 1863. A native of New York, Col. Cole first entered the service in Elmira, enlisting in 1861 as a member of the 12th New York Infantry. He later attained the rank of Brevet Brigadier General in March, 1865. Brevet Brigadier General George Washington Cole (1827-1875). 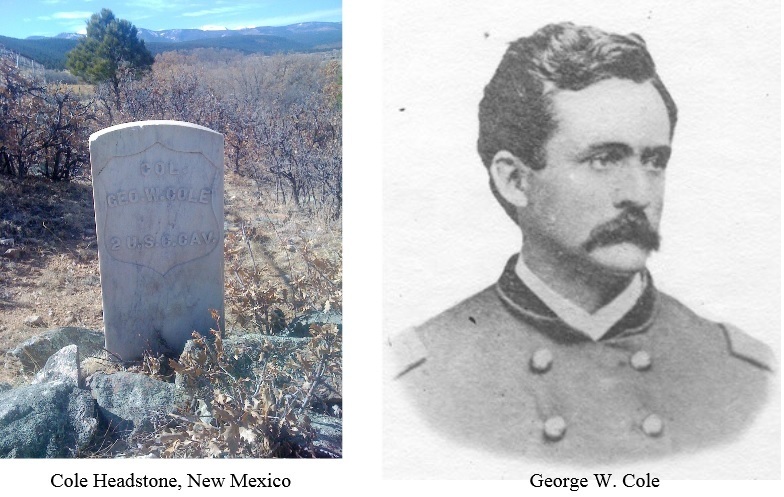 He is buried in Saint Vrain Cemetery, Mora County, AZ. Source: Marsha Smith, Backbone Ridge History Group, 2013. African American enlistees often faced discrimination from white Union troops and their officers, but Col. Cole appears to have been on good terms with the men of the 2nd Regiment. 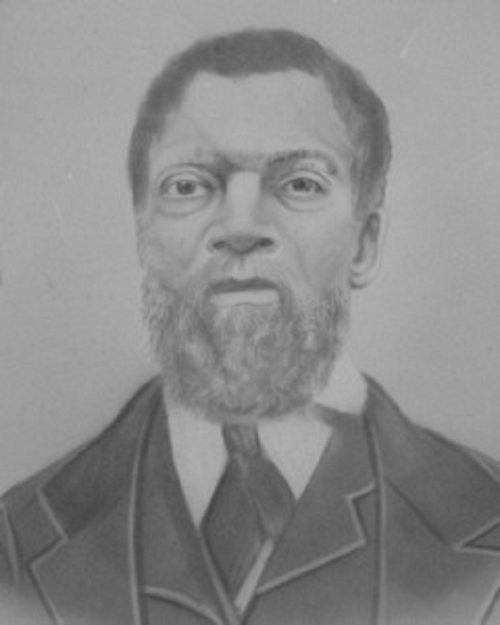 African American Civil War correspondent, Thomas Morris Chester, in a dispatch dated September 24, 1864 from Deep Bottom, Virginia to the Philadelphia Press, reported that “there is no braver soldier in the service, and no one enjoys to a greater degree the respect of his officers or the affection of his men” (Chester, 1864). Pvt. Savage was involved in several skirmishes during his three-year term of enlistment with the Union Army. He avoided the terrible fate of several of his fellow regiment members at Suffolk, Virginia, on March 9, 1864, but saw action at Jones Ford (Jones Bridge) on the Chickahominy River. He participated in several engagements in the Bermuda Hundred Campaign, and the assault on Petersburg, part of the Richmond-Petersburg Campaign, on June 18, 1864. Many of Pvt. Alfred Savage’s military duties during his service involved detachments to the Ambulance Corps. The corps was organized in 1862 by Dr. Jonathan Letterman, medical director of the Army of the Potomac, and formally established on March 16, 1864. Pvt. Savage functioned as a driver in the corps in Virginia and North Carolina at various points between June 1, 1864 and early 1865. By June of 1865, his regiment was sent to Texas for duty on the Rio Grande, and by October of that year, Alfred was noted as the company cook. Pvt. Savage was discharged with the remaining members of his regiment on February 12, 1866, at Brazos Santiago, Texas. Upon his return to the Tidewater area, he married Margaret Mosby Powell, of Columbus County, North Carolina, in 1867. The family, Alfred, Margaret, son Christoper Columbus, and daughters Esther and Margaret, lived on Queen Street between 1870 and 1900, which was then a part of Portmouth’s Jefferson Ward. Pvt. Alfred Savage passed on February 2, 1899, and is buried in Mt. Calvary Cemetery. A short time later, and with some relief, I spotted Pvt. Savage in Mt. Calvary Cemetery, and called Mr. Rawls and Mr. Savage over to the spot. After explaining how I figured out the gravestone belonged to Alfred, the men graciously agreed to a photo, and then began discussing their family history. I moved away just a bit, out of respect, and also for a few photographs. It was an amazing sight, to see the two of them standing by their ancestor’s grave site, talking about their mutual ancestry. Mr. Savage’s paternal grandfather, Christopher Columbus Savage, is also interred in the cemetery complex, and after visiting Alfred, we went to look for his grave site. 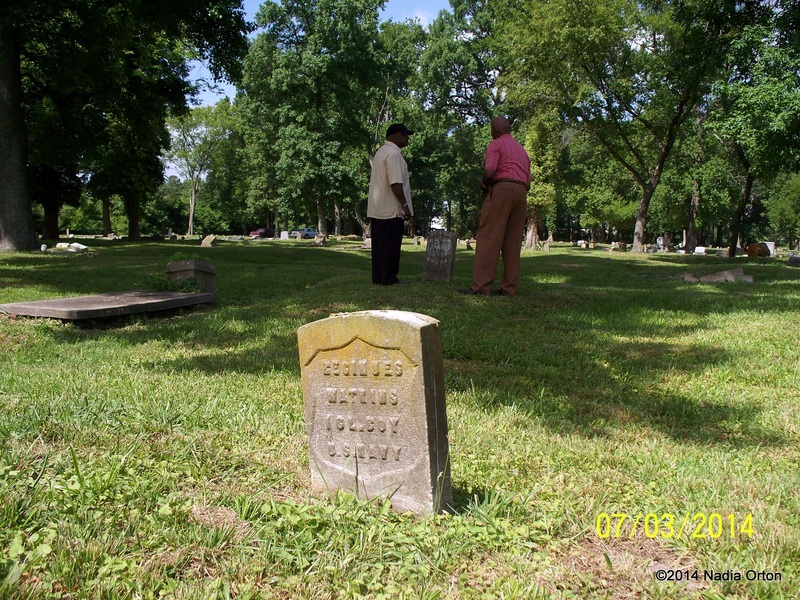 Mr. Savage recalled visiting the cemetery annually with his father, Horace S. Savage, Sr., to tend to Christopher’s grave, not realizing that Alfred’s grave site was nearby. Horace Savage, Sr. (1897-1975), was an influential force in Portsmouth’s African American community. A forty-four year employee of the Norfolk Naval Shipyard, he was one of the original founders of the Eureka Club, and a member of Truxtun Lodge No. 199. Horace Sr. and Horace Jr., father and son, always managed to find Christopher Columbus’ grave by using a particular tree as a landmark. However, once the Mt. Calvary Cemetery Complex became overgrown between 1945 and 1980, and was virtually impassable, Mr. Savage could no longer visit his grandfather’s grave site. “The grass was so high, you couldn’t get in here!” Mr. Savage remarked, gesturing towards the front of the cemetery complex. Mr. Savage shared additional memories of his early visits to the cemetery while we continued to look for signs of Christopher’s grave. He mentioned that every May 30th, the community participated in Memorial Day parades to the cemetery. 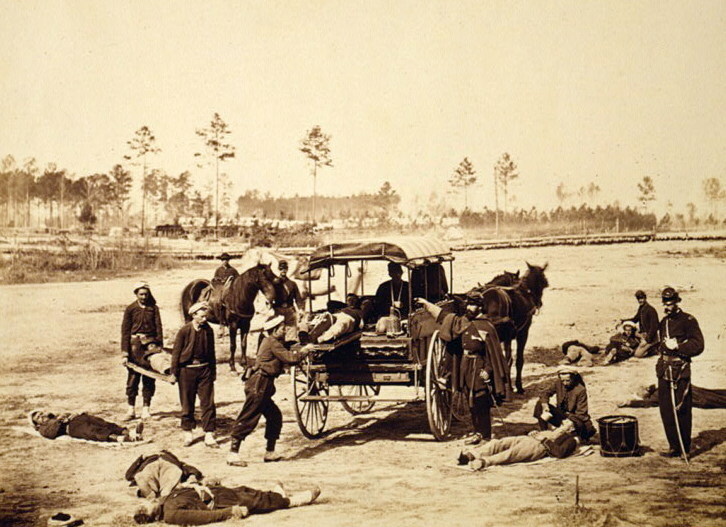 This tradition is an outgrowth of the first Decoration Day, when thousands of former slaves in Charleston, South Carolina honored Union soldiers that had perished in the local Confederate prison and were buried in a mass grave. On May 1, 1865, the former slaves re-buried the Union soldiers and dedicated the new cemetery with a parade and ceremony. In Portsmouth, the destinations of the parades of which Mr. Savage remembers would alternate between the city’s historic black cemeteries, ending at Mt. Calvary Cemetery one year, and in the subsequent year, at Lincoln Memorial. When the parades came to Mt. Calvary Cemetery, the programs would be held at the grave site of fraternalist John W. Brown (1864-1945), a North Carolina native that was once known as the “Father of Fraternal Organizations” in the Tidewater region. Mr. Brown was the former Grand Master of the Masonic Grand Lodge of Virginia, the past Grand Eminent Commander of the Knights Templar of Virginia, and the past Grand Master in the Grand Lodge of Odd Fellows. Barnes Family Monument. Annual Memorial Day ceremonies were held in this area. The monument includes fraternal symbols of the Independent Order of Odd Fellows, the Order of the Eastern Star, and the Square and Compass of the Masons. Mt. Calvary Cemetery. Although the Mt. Calvary Cemetery Complex (also referred to as Fisher’s Hill), was overgrown in later years, and visitation had ceased, its importance to history was never forgotten by elder members of Portmouth’s African American community. Mr. Savage shared that he, and fellow members of the Truxtun Masonic Lodge No. 199, hosted regular clean-up days at the cemetery in the early 1980s. The historic lodge was founded by Mr. Savage’s maternal grandfather, Thomas Tucker (1867-1954) in Portsmouth’s Truxtun community in 1919. Other volunteer groups helped as well, and the city soon lent some support, although Mr. Savage said that it was “fleeting” during this period. 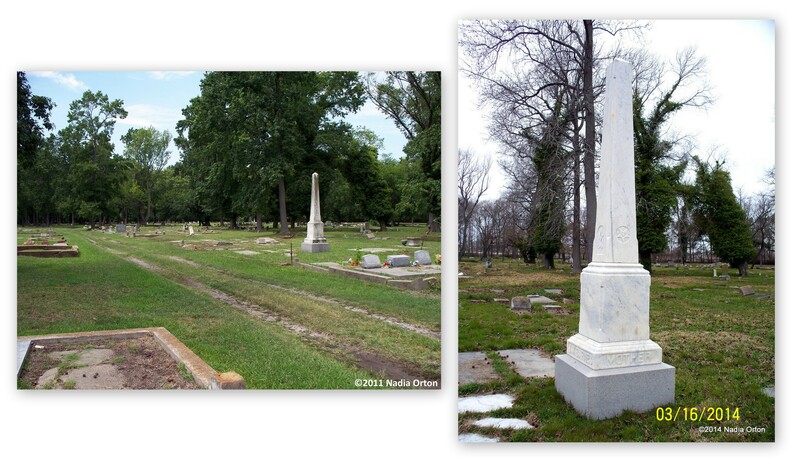 Mr. Savage and Mr. Rawls are encouraged by the city’s recent work in the cemetery complex, and that the city appears more committed to restoring the cemetery complex, a “call to conscience” Mr. Savage noted, to help bring the condition of the Mt. Calvary Cemetery Complex up to par with other city cemeteries like Cedar Grove and Olive Branch. After a while longer, Mr. Savage came to the conclusion that Christopher may not have had a grave stone. I pointed out that it may simply be buried out of sight, as the cemeteries have had repeated bouts of flooding and soil disturbance over the years. In addition to the whereabouts of Christopher’s grave lies another mystery. My research has uncovered that Pvt. Alfred Savage had a brother, John Kilby Savage, who was a Civil War Union veteran. Pvt. John Kilby Savage was also a member of the 2nd Regiment, enlisting one day after Alfred on December 25, 1863. He mustered into service on January 8, 1864, at Fort Monroe, and mustered out at Brazos Santiago, Texas, February 12, 1866. John Kilby Savage may also be buried in the cemetery complex. His and Christopher Columbus’ headstones may yet be future finds in the cemetery. On that day, I was honored to be of some help to members of the Savage Family line in locating their ancestor, and I was again reminded of the importance of these sacred sites. Place and memory are two concepts that are important in how we remember our ancestors and where we come from. I witnessed it when Mr. Savage and Mr. Rawls were prompted to discuss family history while standing in the cemetery near the grave site of their common ancestor. The gravestone is faded, but the person for whom it was placed left an enduring legacy. Alfred Savage, and his brother John Kilby Savage, fought for freedom, serving their families and communities. They faced mortal dangers to help achieve better lives for their people. That tradition of service carried itself forward in the family line, through the hard work and social activism of the Savage Family descendants in Portsmouth through to the 20th century. Sometimes cemeteries are seen as haunted and forbidding; eerie places one visits only for a funeral service. African American cemeteries increasingly suffer an additional fate: destruction or demolition from gentrification, neglect, condemnation, or commercial development. Many cemeteries have been desecrated, or paved over, like the African Burial Ground in Richmond, Virginia, a site whose sanctity is still not secure, and is of strategic importance to a true understanding of the history of slavery in the United States and African Diaspora. Other burial grounds have been virtually destroyed, such as Laurel Cemetery, founded in 1852, in Baltimore, Maryland. The cemetery was originally studied by historian Agnes Kane Callum in her genealogical journal “Flower of the Forest.” Reporter Carl Schoettler defined it as “the first non-sectarian burial ground” for African Americans in Baltimore. The interments were supposedly moved in 1958, before the construction of the shopping center that now sits atop the site, but researchers estimate there are thousands of individuals that were never relocated, and remain beneath the buildings. There are similar stories from New York, Pennsylvania, Texas, Georgia, and Alabama. In other locations, family members are barred access from their ancestors’ resting places. A recent story out of Seminole County, Florida details an eighty-seven year old woman whose grandparents are interred in what is now private property, who has not been allowed to visit their burial sites, a violation of state law. I reflected on incidents such as these while I watched Mr. Rawls and Mr. Savage discussing history. They illustrate the systemic manner in which the history that may be learned from African burial grounds can be lost. 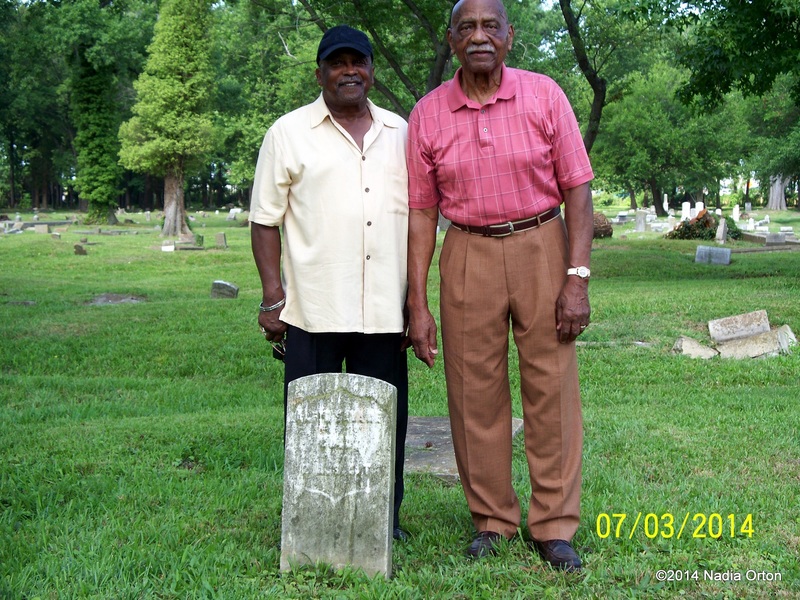 Mr. Rawls and Mr. Savage were able to stand on the very ground where their ancestor is interred. In moments like these, tangible links to history are forged. Cemeteries are not grounds that do not warrant protection or respect. They are hallowed spaces where precious memories are preserved, that may be the last link to a community’s existence. How many more moments like these may be lost to time? How much history still remains to be reclaimed? We learn from our elders, past and present, as I did in my conversations with Mr. Savage and Mr. Rawls. I was fortunate to learn specifics of parades that I’ve only read about in newspaper archives. What a treat to be able to fill in the gaps of documentary history with oral testimonies! I thank Mr. Savage and Mr. Rawls for venturing out with us that morning. Thank you, and I hope to continue to do my part in carrying forward the tradition of holding the legacies of our forebears sacred, and preserving their history for future generations.